What if the above memory had been lost? If you are laughing, it’s okay, it means you understand why search for it so often. Have you ever wanted to find a specific photo for a family event or that special one that made everyone laugh? So you quickly start flipping pages of old albums or rummaging through boxes or drawers with no luck? 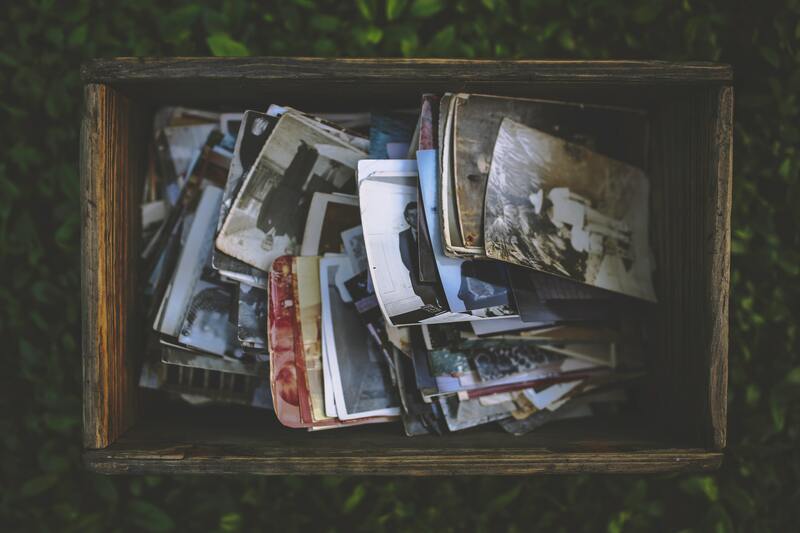 Imagine what it would be like if you could have ALL your pictures available to you digitally, organized by years, and find that photo in less than 5 minutes? Does the thought of scanning a few thousand pictures to make them digital make you physically ill? I hear ya. So have you put it off, telling yourself, you’ll do it SOMEDAY? 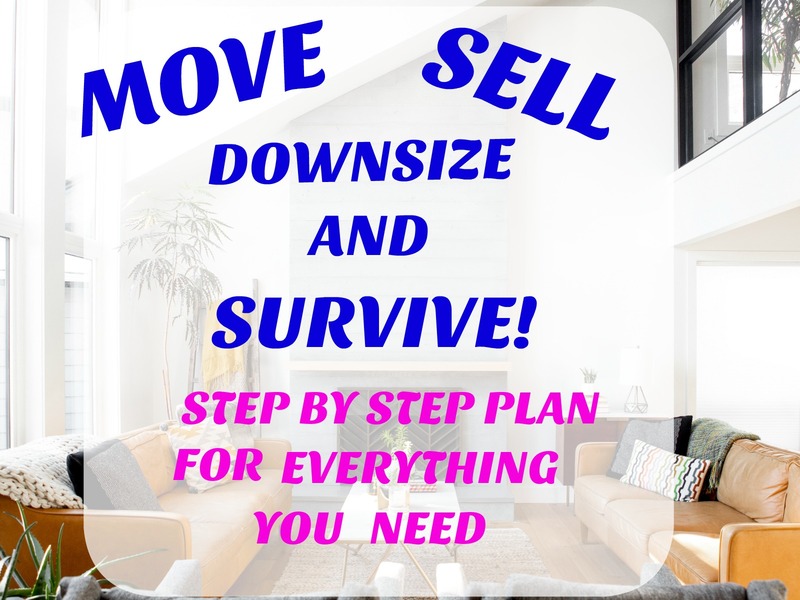 I am going to take you through the WHY, HOW AND WHAT, so you will have a manageable plan. Okay, so you know where I am going with this, but you realize it should be done and if you don’t do it who will? Fact is, there really is no other option than to start scanning them all and making them digital. It will take a while for sure. – I know because I scanned close to 5,000 photos. WHY SCAN ALL THOSE PICTURES? Moms make memories, did you know that? When you have all your pictures scanned you will have created life-long memories for your children and for generations to come- Good work Mom. Ultimately, scanning pictures is the safest way to protect your pictures as well. What if you had a fire, flood, or any disaster that destroyed your photos, you would be devastated. You don’t want to take the chance of losing those memories forever. I am a person who has been caught between generations as far as photos go. I have it all. I had som many albums and boxes of printed photos, and thousands more on my phone or computer that I took digitally. Our children are grown and we even have two amazing grandsons. I have loved every stage of being a mom and wouldn’t trade a day. ( although I would like to re-live many). As our children were growing, I very carefully put all of our photos into albums or filed them into photo boxes sorted by years and then there was a full box that was NOT sorted. Ugh! It was an overwhelming amount of photos. How Do You Digitize to Organize! By the time I first heard about photo scanning I already new WHY I wanted to do it, but the HOW seemed very overwhelming. At the same time, I was very excited and knew it was going to be fun. And it was! Honestly, when I thought about what a gift this might be for our kids, I couldn’t think of a better way to spend my free time than to capture all the photos digitally. Well, maybe there were a few other ways I could spend my free time, but the challenge was on. In the end, I bought a scanner. I scanned over 5,000 photos! 1. Get Organized Before You Start. This Is So Important. Get a card table or some kind of table where you can make it your workspace and keep it undisturbed for quite a while. Plan on taking your time. You want to be able to enjoy this job, after all, you will be reminiscing and be tearing up on a regular basis. You will also need a box of kleenex ( for your tears) and a soft cloth to wipe the photos before scanning. Next, think about how you would like to organize your pictures. 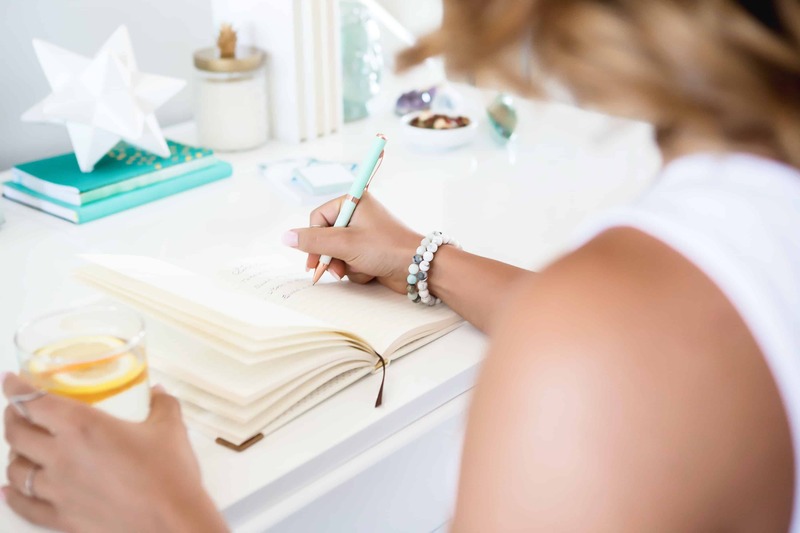 If you just start scanning willy nilly thinking, you will be able to organize them later, however, you are really doubling your task. You don’t need to scan every photo. !When you come across ones that you know will mortify one of your children – Throw it. Just like digital photos, we have lots of pictures we really don’t need, they may blurry or the 3rd copy of the exact pose – Throw them. Use a soft cloth and gently wipe each photo for dust or finger prints before you scan. Decide how you want to sort your pictures. What I would recommend, is putting them into piles that are sorted by milestones in your family’s life. For example, I put photos together in increments of 3 years. This is how far apart our children are, so that made it easier. I labeled boxes in increments of 3 years, like 1978-1981 and then got to work. If you are NOT like me and already have all your photos sorted by dates – Good For You. Your job will be so much easier. WAIT! WHAT ARE YOU GOING TO SCAN WITH? You have a few options with what you use to scan. Your best option might be to buy a scanner. Flatbed Scanners are the most commonly used scanners and do claim high-quality photos. PhotoScan is a FREE google app I have used and had good results. You can downloadit on your phone or tablet and is very easy to use. I have been using this app quite a bit over the last year and am very happy with the quality. Apple’s Notes app is one of the best-kept secrets. You can find it on iPhone or iPad. Just open a new note and click the + sign. TPress scan and away you go!. 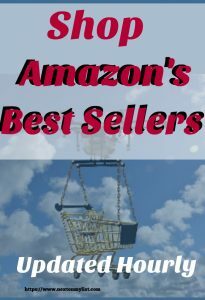 The quality has great reviews so give it a try. Keep in mind, you won’t always have your scanner with you, so scanning with your phone is a great option. Image Capture is an App on Mac computers. Get Apple’s Instructions for Image Capture. I have a MacBook so decided to test it. Wow! It told our HP scanner to scan, and in literally seconds, the picture was on my computer, in my photos . I will be scanning with Image Capture from now on. After plowing through mountains of photo albums and boxes on our dining room table, I began to scan photos four at a time! It is so much easier now! As I scanned the pictures, I put them into folders on my laptop in 3-year increments. WHAT HAPPENS WHEN SCANNING IS DONE? When shared what I had accomplished with my family and I was overjoyed with their response! They would not put my computer down! As they looked through the folders, the stories, text messages, & laughter we more than enough reward for my efforts. However, my kids were often texting me and asking me to send a photo they wanted to share with friends, cute baby picture, Halloween costume, graduation, etc. A photo stick is one solution to that problem, but……. Thank Goodness for the Cloud!! Next, I figured out how to share all the folders I had created on the cloud with my whole family. Now, they have access to all of the pictures anytime they want. After 2014 the age of quality digital photos resulted in new shared family folders for each year. Now, we can all contribute pictures now to new shared folders. Sharing pictures helps us keep up with what everyone is doing which is really important to me because we live far apart. – Not my choice. What about the digital photos that you have taken with your smartphone or other digital cameras? You need to declutter and organize digital photos too. 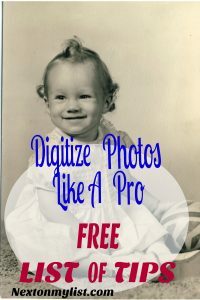 Find out how here, How to Scan & Digitize Your Family Photos Like a Pro. You can download a FREE Cheat Sheet for this project too. My Final Advice. DO THIS! In all honesty, everyone should consider scanning in at least some of their old photos. It may take some time or money to get started, but the benefits of having old photos protected, shared, and edited completely outweigh the costs. No matter your age, you will want to capture memories from the past. 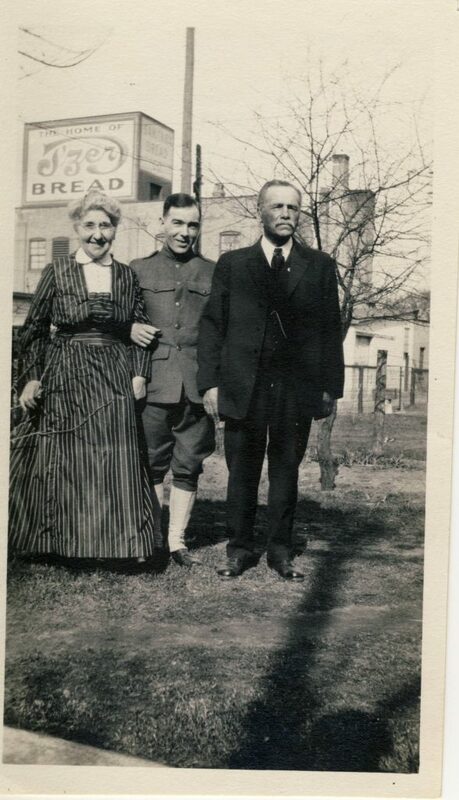 For example, here is a picture of my husband’s grandpa and his parents as he is leaving for WWI, Seriously. If you are lucky enough to have older relatives, Contact your relatives – older and ask them for their pictures. They don’t know how to do this stuff, but they will love you even more for doing it for them. You will never be completely done scanning. You will need to scan all new school pictures, holiday greeting cards, children’s artwork…it’s endless. Give your family a digital version of their family memories. Please share how you keep memories alive in the comments below. I’d love to hear from you. I expecially would like to know what you have scanned and how it went?